Hi everyone, hope you all are doing great. Winters are almost gone and weather is becoming warmer day by day. I personally don’t like summers as hot weather brings lots of skin problems for me. I have very sensitive acne prone skin and it is quite difficult for me to keep my skin calm during summers. Few days back I had some kind of skin allergy and I got many painful pimples and rashes on my face. That time I realised the need for some herbal products to calm down my skin. 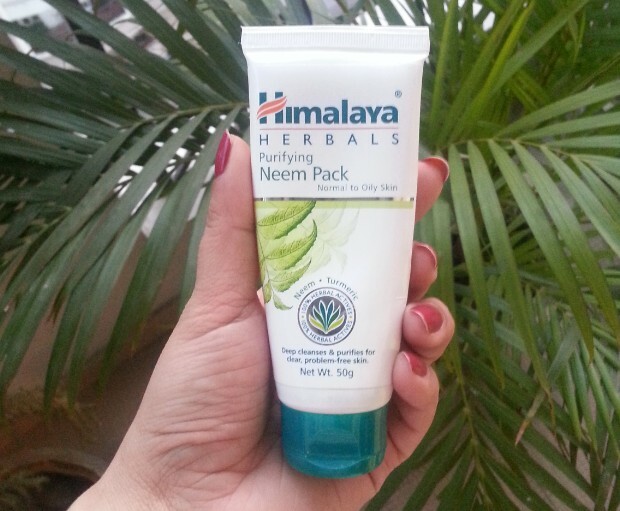 Today I am going to review Himalaya Herbals Purifying Neem Pack that I bought along with some more Himalaya products online from Himalayastore.com. 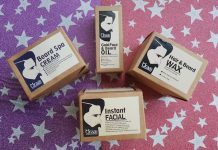 Himalayastore.com is the new official online store of ‘The Himalaya Drug Company‘ that sells health care, skin and hair care products. After using this face mask 3-4 times now I am sharing my views about it. I bought 50g pack that will last for 5-6 usages not more than that. 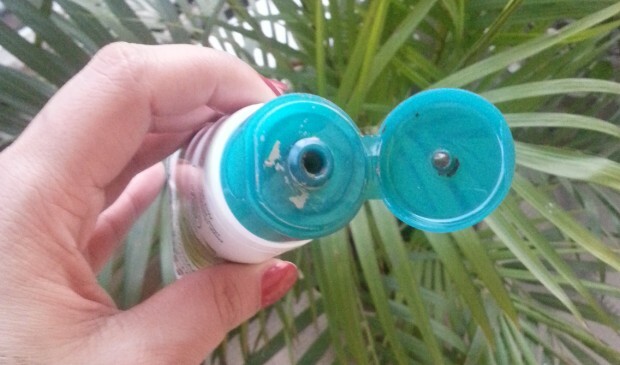 Packaging : It come in a white squeeze tube with green flip open cap. The packaging is hygienic, sturdy and travel friendly. 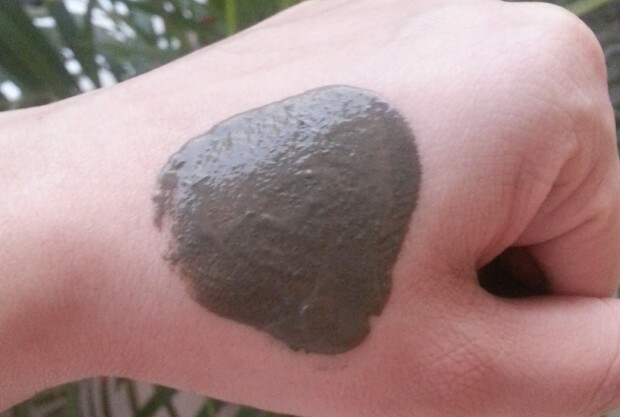 My Experience : This neem mask has a dark green color (resembles to mehendi) that turns light green after drying. It has a perfect consistency which is neither very thick nor runny and spreads easily onto skin. It has a grainy texture which is a mixture of fuller’s earth and dry neem leaves. It has a mild neem fragrance that goes off after some time. I have combination acne prone skin and Himalaya Herbals Purifying Neem pack came at the right time in rescue of my fragile skin. I have been using this mask religiously for last one month. Neem & Fuller’s earth are its key ingredients which are highly effective for my oily acne prone skin. After cleaning my face I take a generous amount of this mask and apply it evenly onto my face using my fingers, if you want you can use face pack brush to apply this mask. It gives a mild tingling sensation as mentioned on the pack but my sensitive skin can easily bear it. I leave it on till the time it becomes dry and then wash it off using tap water. Drying times depends upon how thick or thin layer is applied. It comes out very easily. I usually splash water on my face and then massage gently for 1-2 minutes as the grainy particles help to exfoliate skin. Be very gently while exfoliating skin as this mask is bit harsh and if you are not cautious then you might end up with rashes and breakouts. It exfoliates skin very well and removes dirt & impurities and makes my skin clean & clear. It reduces oil and tightens open pores and skin feel soft and supple. After rinsing this mask my facial skin feels a little dry so I use aloe-vera gel and massage for 2 minutes and if I applied this mask during day time I applied my favorite sunscreen lotion after washing this mask. I must say it is an ideal face mask for oily to combination skin, even dry skin people can use this mask. It has reduced my acne up to certain extent. It is affordable and its travel friendly packaging makes this mask a must have product in skin care. I strongly recommend this mask to calm down problematic skin and to welcome the summer season. I will definitely buy this mask again and again. Claim : A purifying mask that helps to regulate excess oil secretion, cleans clogged pores and prevents the recurrence of pimples. Neem, well-known for its purifying and antibacterial properties, helps in controlling acne and pimples, and their recurrence. 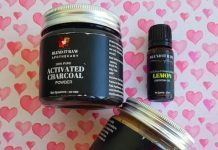 Combines with Turmeric, it helps remove acne-causing bacteria. Fuller’s Earth (Multani Mitti) cools and soothes the skin, improving skin texture and leaving you with clear, problem-free skin. Usage : Cleanse the face and neck. Apply Purifying Neem Pack evenly all over the face and neck, avoiding the area around the eyes and mouth. Let the mask dry for 10-15 minutes and remove with a wet sponge or towel. Rinse with cool water. For optimal results, use once a week. Neem : Neem oil relieves dry skin and soothes itchiness, redness and irritation. It also improves general skin health and immunity, combating bacterial infections such as acne, boils and ulcers. Turmeric : It has been used as an antiseptic for centuries. It has strong anti-inflammatory properties which soothe skin gently and makes skin soft & supple. Fuller’s Earth : It is primarily used to lighten the skin and has cooling and anti-inflammatory properties that remove deep-seated dirt and skin pollutants. Other Ingredients : Sodium methylparaben IP, sodium propylparaben IP, imidazolidinyl urea, DMDM hydantoin. Hi! I found your page while searching for this product and I just want to ask if you apply it on dry, wet or damp skin? I got a sample sized one and I used it on dry skin but it did not look like that on your picture. 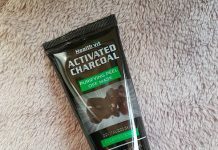 It dries out in seconds and dissolves into this dirt/sand like texture the more I work it on my skin, which honestly makes it really hard to apply. Am I doing something wrong or maybe I just have a bad sample? hey i apply this pack everyday is it ok to do that?? shweta @ it is totally safe even if u apply twice a day .. but make sure use a good herbal moisturizer at night before going to sleep..
My skin is black,i have pimpples,oliy skin.which product of himalaya i use?plz suggest me. my face oily and acne pimole,,,please help me all friend. What happen when expiry date Himalayan need face pack is applied?